The Anglo-Saxon Literature Handbook presents an accessible introduction to the surviving works of prose and poetry produced in Anglo-Saxon England, from AD 410-1066. 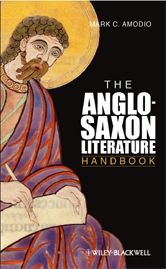 Makes Anglo-Saxon literature accessible to modern readers. Helps readers to overcome the linguistic, aesthetic and cultural barriers to understanding and appreciating Anglo-Saxon verse and proseIntroduces readers to the language, politics, and religion of the Anglo-Saxon literary world. Presents original readings of such works as Beowulf, The Battle of Maldon, The Wanderer, The Seafarer, and The Anglo-Saxon Chronicle.